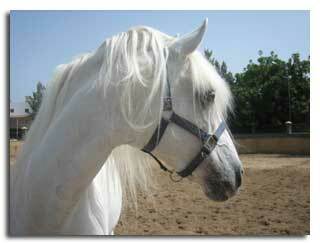 Is there any more breath-taking sight than a fiesty Arab stallion, prancing around a paddock, tail and head held high? Or anything sweeter than a week old foal gangling about after his dam? Legends and literature are thick with references to proud horses and their impact on human history. And so they should be for the development of our civilisation has been intricately bound with that of the horse for many thousands of years. Imagine human history without horses. No doubt they were first semi-domesticated and herded as a handy source of food but over the centuries their history has become so intertwined with our own that it has become impossible to accurately say when horses were first ridden. In fact debate rages over whether horses were first used to pull carts and chariots before anyone ever made that first miraculous leap onto a horses back. Possibly adult horses were left wild and foals taken into settlements as pets. One can imagine that if this scenario is true, it wouldn't be long before the camp kids were jumping all over the young horses backs. It is a nice image, but no-one can say if it is true. Horse stories abound in every culture. From haunting stories of unicorns to Pegasus, Zeus's magnificent winged lightning bearer to modern tales of Black Beauty and Thowra, the Silver Brumby, to Seabiscuit and Dreamworks brilliant animation Spirit: Stallion of the Cimarron we have so many wonderful horse tales all of them celebrating the beauty and nobility of these magnificent creatures.